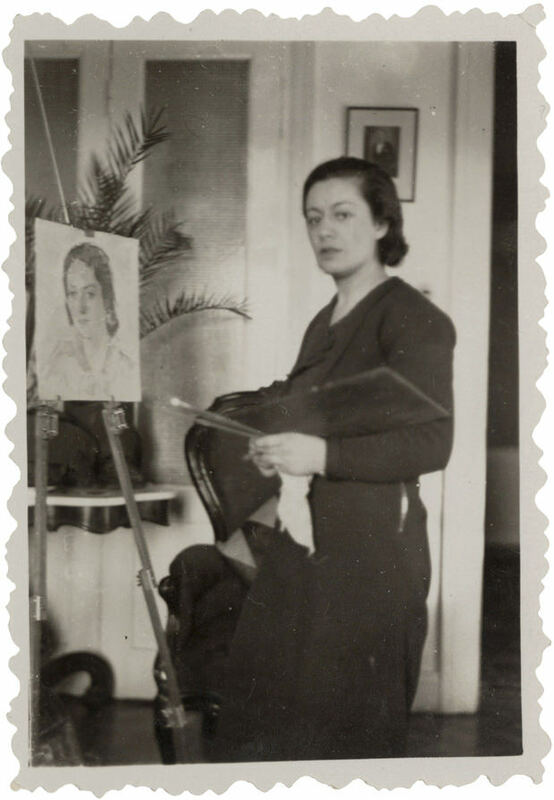 One day in 1955 Turkish painter Sabiha Rüştü Bozcalı (1904 to 1998) received a letter from Giorgio de Chirico, the metaphysical artist who was acknowledged at the time as one of the most important figures in Italy's art world. Bozcalı had visited the artist's studio in Rome and voiced her interest in working with him. De Chirico wrote back, offering the young artist his services in return for a few thousand Italian liras. He recommended that Bozcalı focus on the works of the Old Masters and reproduce paintings and murals at the Vatican Museum. According to their agreement, Bozcalı would work in the atelier of this very productive and prolific artist for three years. The De Chirico episode took place towards the end of Bozcalı's life in continental Europe. Previously, her family had sent the artist to Berlin where she studied painting and worked at the studio of the famous German artist Karl Caspar. 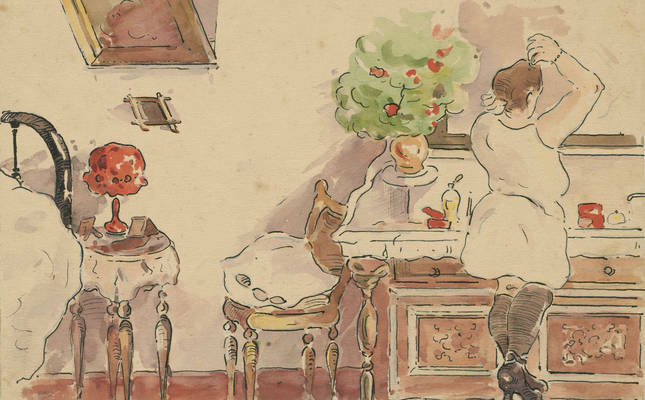 When she came home to Turkey, a different career as a prolific illustrator awaited her. SALT Galata's "Painter Sabiha Rüştü Bozcalı" exhibition offers a comprehensive look at the life and work of this fascinating artist. "The Tlabar family donated the materials to SALT Research in 2014, and then the entire archive at SALT Research was catalogued by Ayşenur Güler, a faculty member in the Department of Art History at Mimar Sinan Fine Arts University," Lorans Tanatar Baruh told Daily Sabah last week in an interview. "This process took five months and helped us trace her life in a wider context and explore the diversity of her artistic production. 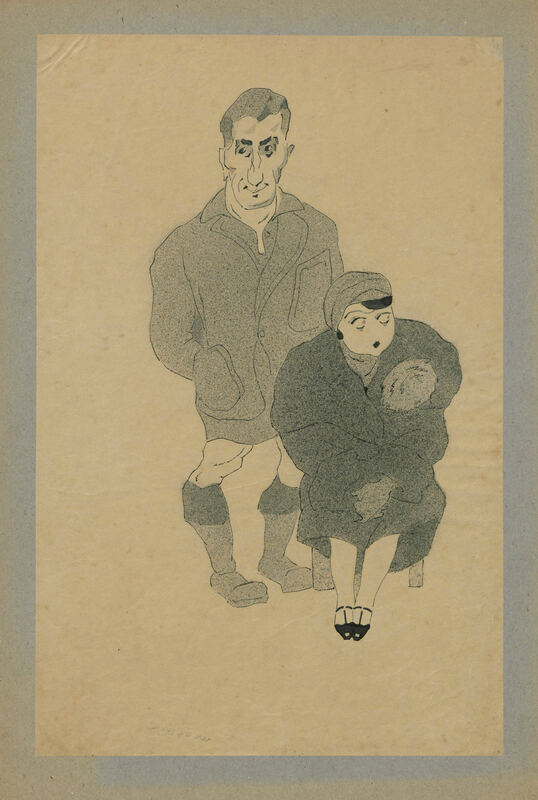 Once it was digitalized and put online in February 2015, Bozcalı's photos, agendas, notes, drawings, letters and watercolor paintings became accessible to the public." The Neo-Impressionist artist Paul Signac described Sabiha Rüştü Bozcalı as someone who was "talented, having the sensibility that painting requires and entirely dedicated ... to difficult working conditions of this profession." Baruh curated the extensive material for this project with historian İlhan Ozan. She described how they were fascinated by the content of the materials: "They were so juicy that it would be a pity to keep them in storage and only give online access," she said. "Thus, the original materials had to be displayed together with her works and introduced to a wider public. Also, it was a kind of tribute to Sabiha Rüştü Bozcalı who dedicated her life to art." 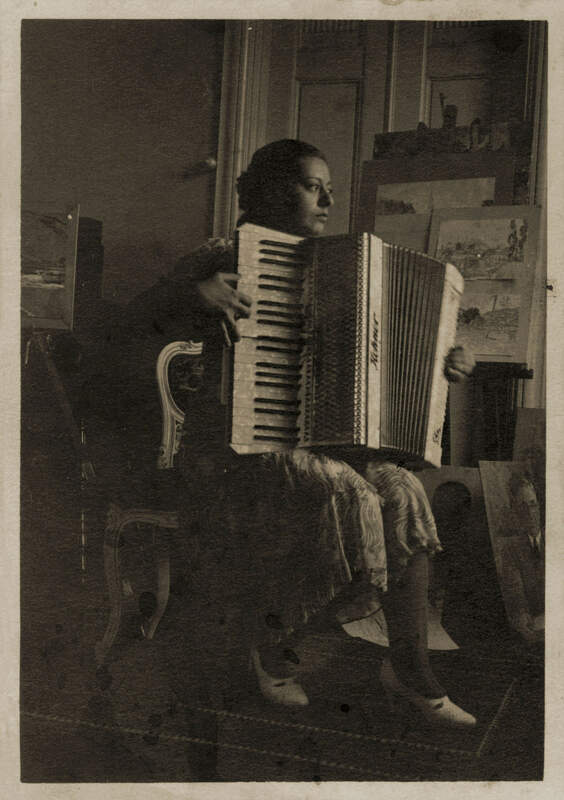 Bozcalı's artistic career was supported by her family. She had limited affiliation with the Turkish state. Unlike many of her contemporary painters, the Turkish state did not send her abroad, nor did she teach at one of the state academies. "Her only official relation with the state was Yurt Gezileri [Homeland Trips]," Ozan said. "She was sent as the first female painter of the group to Anatolia to picture the development of the country. Therefore, it is more likely to be an individual success or rather the success of a family who supported her from her youngest years, sent her abroad and gave her all the means to acquire a good education in painting and later introducing her work to the publishing and advertising world." Ozan acknowledges how the life of Bozcalı's family was strongly defined by the modernization of the Ottoman/Republican state. "Her father studied in London. Bozcalı and her mother were home schooled; she learned French, German and Italian from which Bozcalı highly benefited when she went abroad alone for her education. ... She had close connections with the European art world but also with the artists of early Republican Turkey. It is clear that this family, as descendants of high ranking bureaucrats of the 19th century was itself an actor in the Ottoman modernization and adapted well to Republican Turkey." Bozcalı is known as the first female painter to participate in Yurt Gezileri, but there is little information about her work during her stay in Zonguldak. "We only have official documents, a sketch and a few reproductions printed in the magazines of the day. Only a list of nine paintings she made give some clues about her works today," Ozan said, adding: "She worked on the mines and painted the 'newly' industrialized nation. It is important to note that these mines were established in the Ottoman period, and the Republic took over this legacy. It is not clear, however, if she was asked to paint, in particular, the industry of the city or if it was her own choice. On the other side, it is not easy to say something about her attitude without consulting her paintings. However, as a general attitude she didn't problematize the new regime at least explicitly." The Neo-Impressionist artist Paul Signac described her as someone who was "talented, having the sensibility that painting requires, and entirely dedicated ... to the difficult working conditions of this profession." She produced numerous landscapes and portraits, but Bozcalı found her real gift in the worlds of advertising and publishing. Her drawings for Yapı Kredi Bank and the Directorate of Monopolies became legendary, as did her newspaper illustrations for various dailies including Yeni Sabah, Hergün and Havadis. She was among the principle illustrators of historian Reşad Ekrem Koçu's "İstanbul Ansiklopedisi" (Istanbul Encyclopedia), and her drawings appeared in books by Nezihe Araz, Cahit Uçuk and Refii Cevad Ulunay. "Bozcalı was one of the actors in the visual culture of the media, which was changing in the 1950s," Baruh said. "She popularized the historical narrations with her drawings referenced from historical pictures or details of narrations. She told us that when she was lost Koçu gave her the details of the illustrations that he would like to have. However, in rare cases she also used her imagination as in the case of Cigal in the article 'Cariye Vakası' [concubine incident] in 'Istanbul Ansiklopedisi' in volume 6. As it was said by the critics of her 1946 exhibition, she was a talent and could draw anything asked of her."